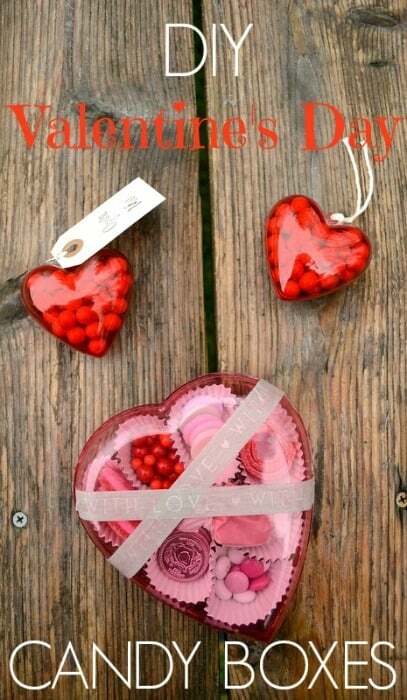 This Valentine Treats post is courtesy of our contributor Dawn from Not Just A Mommy…Hello all! 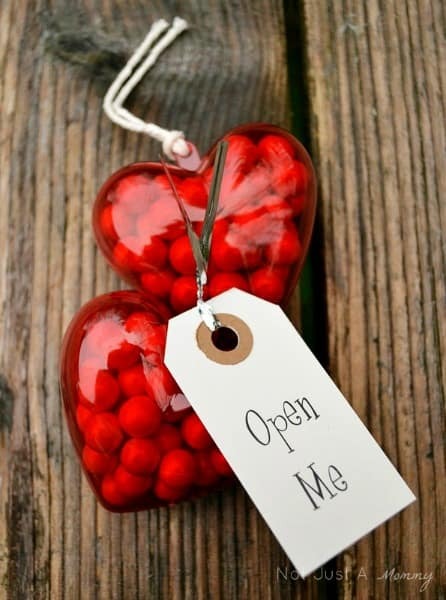 I’m here to squeeze in one (or two) more fun and simple ideas for Valentine’s Day. Those ubiquitous red candy heart boxes are the bane of my existence. They only have one or two candies I like and spending my time biting each one to find them is just not my thing. 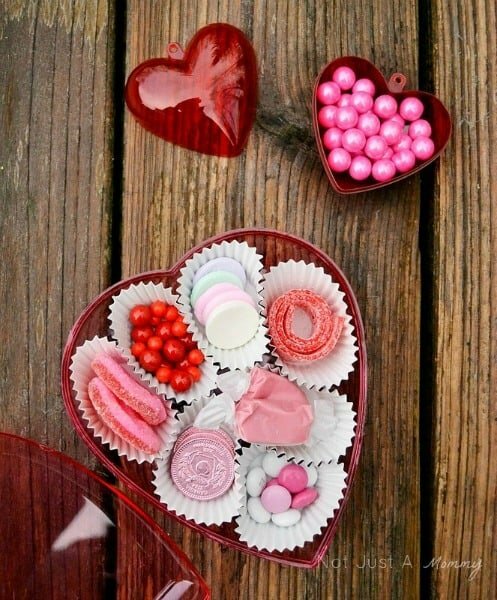 Instead, how about giving your Valentine a box of sweets they will really enjoy. I found these great plastic heart boxs at Target and thought to myself, ‘Self, these would look really cute filled up with sweets I would like‘. I used mini cupcake liners to hold the treats in the larger box. The smaller boxes can be filled with any of your favorite candies…I used Sixlets in mine. These boxes are so pretty on their own, all they need is a little ribbon or tag. How fun is this for the little ones to pick out and fill the box with Daddy’s or Mommy’s favorite candy? How about a special treat from one sibling to another? There are so many ways to make Valentine’s Day super special and I hope you are inspired today. Like what you just read? There’s more where that came from…follow Not Just A Mommy on Facebook, Twitter, Pinterest and Instagram for even more creative ideas. Never miss a post by signing up by email. You can also follow the blog with Feedly. We’d like to send Dawn a big Thank You for sharing these ideas with us today. Looking for more Valentine’s Day inspiration? Check out her Color of Love Valentine’s Day Party. 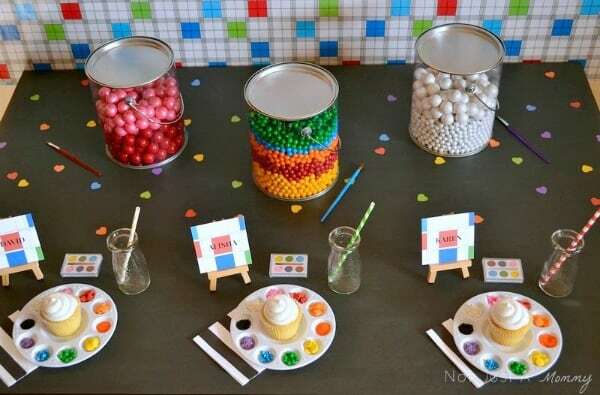 Love this idea for cupcake decorating! For free printable Valentine Day games, free printable party supplies, party ideas and more, visit our Holiday Fun page and scroll down to the Valentine section in February.